I have been thinking back to when we were trying to break the pacifier habit with our toddlers. Many of you can probably relate. Breaking the habit is as hard on the parents, as it is on the kids. Throughout the time you allow your child to use this pacifier you have back-ups stashed all around, one in the diaper bag, in the car, on the changing table and probably a new one in the closet just in case. If one went missing you just grabbed for another, when too many disappeared you’d buy more. We were good at losing pacifies, in fact we once found one several years after all our kids had outgrown them. But when we were determined to NOT buy another, that last pacifier was like gold! It was well cared for and always put in its place. If not we would hunt until it was found. As the piles of Christmas presents move to the past and the New Year has begun with hopes of cleaning out and getting organized. At the end of January my head is still spinning from all the chaos and all the STUFF that has accumulated in my house. We are drowning in our things, and having too much, like having too many pacifiers, is causing us to be lazy and careless with what we have. Having too much has caused us to lose appreciation for having and getting things. Too many pencils, markers, clothes and toys you name it. When a Poly Pocket is left on the floor, a threat to throw it away doesn’t pack much punch when it is 1 of 100 Poly pockets that inhabit the house. Nerf bullets disappear during a battle, no one takes time to find any that are not in plain sight. Why take time to look for your shoes if you can just wear another pair. Basketballs and soccer balls sometimes don’t make it home or get brought inside because there are others to use. I can’t tell you the amount of times I have heard, “That’s OK we still have more”, when something gets broken or lost. I am caught as much as my kids in the laziness of having too much. No hurry to get laundry done there is enough clothes to last another week. When a Sippy cup goes missing, I may not look for it right away and then when it shows up with a special scent and color, I just throw it away. Then the electronics, we do not have one I-pads per kid, but we do have multiply options as a family. So what happens when the I-pad battery dies? It is put away and plugged in to charge. WRONG! It is left and they move onto another option. Waiting in that location for the next unexpected user to find it with only 1% battery left. I do not think we are alone in these habits and some of it is just kids being kids. But parents have a part in it too. As parents we want to make our children happy, we want them to be able to have and do things that they love and enjoy. With this good intention I think many times we overdo fulfilling their wants thus they lose the chance to truly appreciate what they are given or already have. So as we wrap up our season of giving and look at all of that has been added to our bulging tubs and closets, I realize that that we are there, we have TOO MUCH! As we move forward into 2014 instead of opening the sales adds searching for new and bigger storage options, maybe we can get down to having only the things that we truly love and enjoy. Hopefully then keeping this thought in the back of our minds throughout the year. We don’t have to fulfill each request just because the money is in our wallet. Maybe this year if we give less to our kids, we will truly give them more. I am not saying our resolution is to not give our kids things and everything we own is going to the poor. We have more than we need. I do think it is obvious that if we had less we would care more and it may make life easier around here. We may care enough to be sure things are put in their place, and all things may have a place. Wouldn’t it be easier to put clothes away when the drawers and closets aren’t overflowing? If we could get down to that last pacifier we would create more appreciation for the things we have and hopefully break some bad habits along the way. Sometimes the chaos of the season seems to steamroll any source of peace you try to schedule in. Despite the craziness last week we were able to enjoy and laugh at a few moments. The Hunt: Last Sunday we went to get our tree. It is our tradition to cut our tree out of the pasture behind my in-laws house as we did this year. Each year it is challenging to fit it in because of other events and it is actually hunting season, deer hunting. So after church we bundled up and added our hunters orange and headed out for the tree. We were on a time schedule due to a Christmas party our daughter had that afternoon. To help us stay on the schedule we were hurried by the entrance of a couple hunters coming into the pasture next to ours. This of course made me a little nervous, even though they were well aware of our loud family of 7 a couple hundred feet from them. We decided we better make a decision between the trees we had found so far, which was an easy one since one of the two choices, and unfortunately the favorite of the kids, was about 6foot in diameter. A little too big for our house thought they had creative ways in mind to make it fit. So the boys cut down the tree and we packed it up and all loaded back into the truck all while my husband tried to keep our noise down out of respect for the hunters. Only to find we had lost the dog. So we had to drive circles around calling and whistling for her. He worried that she followed the hunters, me worried that our 12yr old dog had a heart attack in the woods following the truck. As it turns out she found my in-laws dog and they were by the gate running energetically around. So we headed out and not long after so did the hunters, probably figured we scared any deer within a mile away. Decorating Party: That evening we brought the tree into the house and began decorating. The kids of course were crazy, Dad and all. Getting all the wrestling out of their system before it was no longer allowed in the living room with the fully decorated tree. 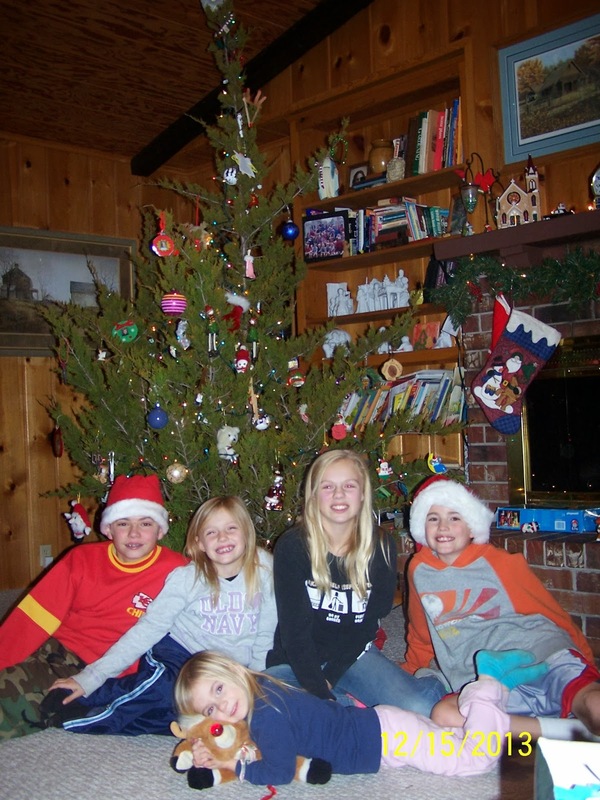 Back when we just had 2 kids a wrestling match knocked our tree to the ground. Christmas music on and me trying to keep the little ones form tearing through the ornaments box it felt a little out of control. I then made a conscience effort to try to relax and not be so controlling while decorating. 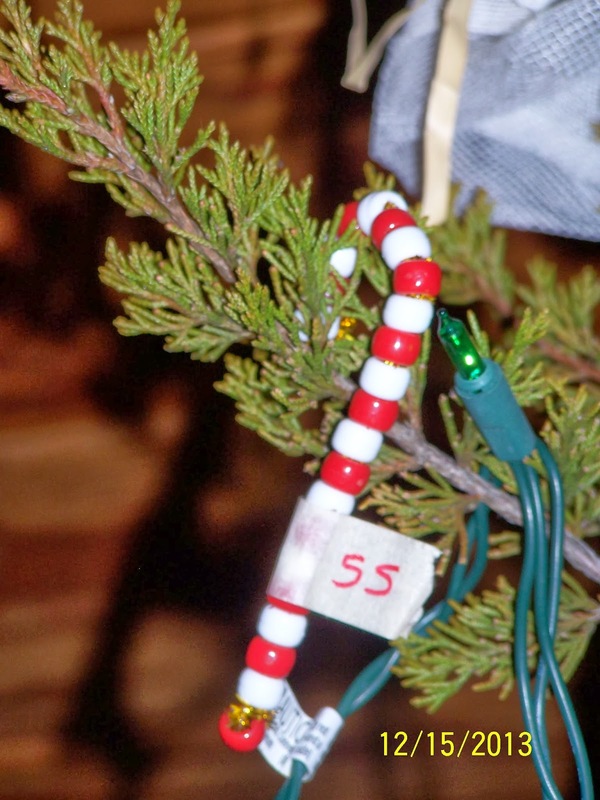 I still helped hand out ornaments and made sure the correct kids got to hang their special ornaments, but I actually let the kids get one out of the box after that. That is a big step for me. After the decorating was done, I only moved ornaments that I hung personally to fill in the holes, also very hard for me. You know though some of the crazy hangings really made the tree look great. For some reason the kids hung many ornaments tight to the trunk which at first I wanted to spread them out, but at the end I liked it. There was also the competition of who could hand the highest and lowest ornaments. The highest besides the topper was hung with a roll of wrapping paper and the lowest, by our 3 year old by accident. Her big brother was impressed it was so low it sits on the ground. 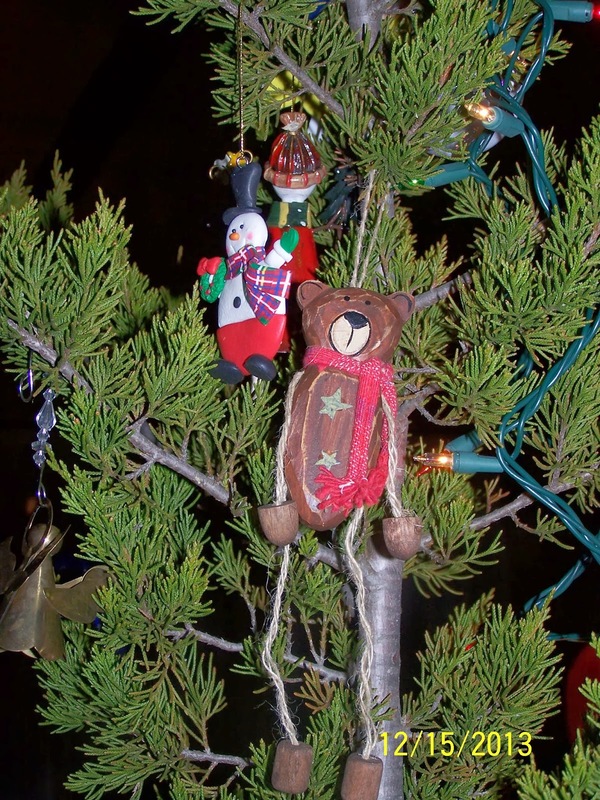 Later I had a flash back to my days growing up and decorating the tree. My dad had made for our first Christmas a cardboard star wrapped in aluminum foil for a tree topper. As years passed my mom wanted to put angels or fancier stars atop. We kids just wanted that star. Our first Christmas my mom bought an angel for our tree topper so we would have our own. I myself would have that star as I have yet to see a star I liked as much. As it seems though I am now in my mom’s shoes as my youngest said her favorite ornament on the whole tree is our pretty angel on top. I am afraid it will be there for the long haul. Rejoice the 3rd Week in Advent: So as I wrap this up and am on the home stretch for the shopping that has been haunting me. I listen to a short Christmas song from the clock my Mom bought us last year, which I owe her a thank you. It has many times been a breath of Christmas calm as the clock reaches each hour of each day and plays a short traditional Christmas carol. With three advent candles lit, the pink one symbolizing REJOICE as we are in the homestretch and final preparations for the celebration of Christmas. An appropriate theme as I rejoice to finish shopping and having the chance to enjoy things like our beautiful tree, Christmas shows, Christmas lights, baking& eating, time with my children and husband, parties with family and friend, and final preparations. Rejoice to feel the Christmas spirits grow in the celebration of an amazing gift from God, the birth of Jesus. We had a wonderful Thanksgiving weekend with the chance to visit with both sides of the family. All were present at both dinners, 27 on each side. So much to be thankful for, time with family and friends, all the safe travels, and the continual blessing in our lives! 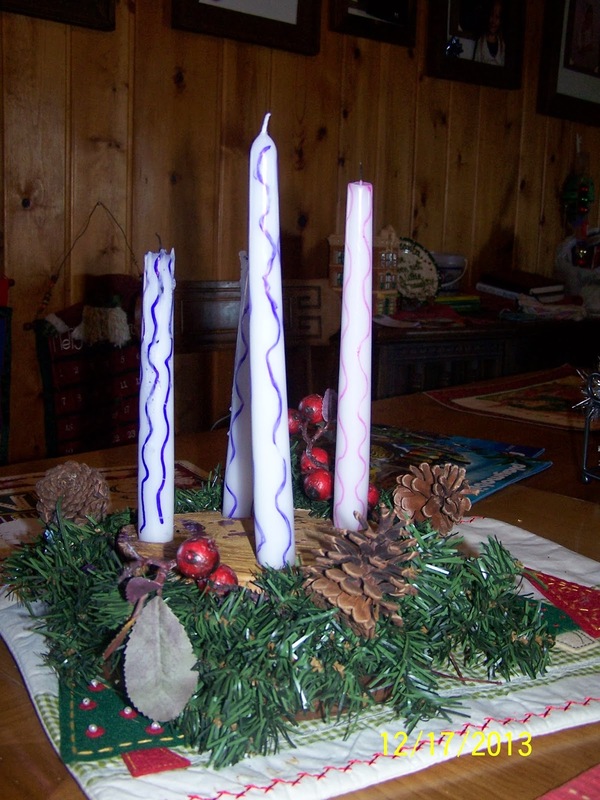 As Thanksgiving falls into the past we start preparing for Christmas, the season of Advent is upon us. There is so much craziness in the preparations, Black Friday chaos, Christmas lists, decorations we can go on and on. Just as last year I am hoping to bring in a little more of what Advent is really about, balancing the excitement and the peace of the season in our house. We ended our weekend before traveling home with Sunday mass in my home town and the homily really got me thinking. This was part of the Gospel reading for Sunday. The Priest began his homily speaking of how hard it is to make a long drive when tired. This caught my attention immediately as I have driven many late nights and early mornings. We just drove early morning 2 days earlier to get to my parents for Thanksgiving. He asked us to think of all the things we do to stay awake. I know just the things that work for me and I am prepared with them each time just in case. This morning I think of all the late night shoppers for Black Friday and the effort put forth to stay awake to save some money. For all of these worldly things we work so hard to be awake for we give ourselves the tools to make it happen; caffeine, sunflower seeds, cold air, music or just plain excitement of the event. As the priest continued he spoke of how Advent is the season of preparing. 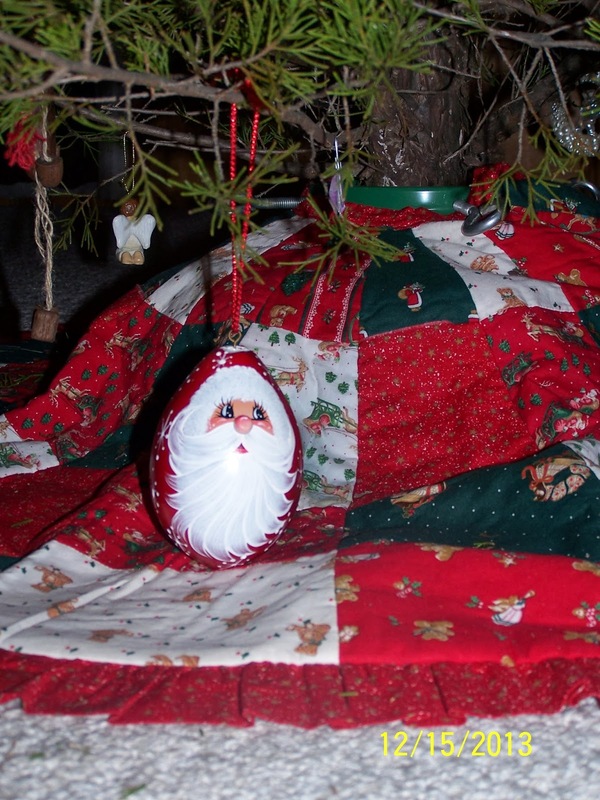 I prepared for the normal explanation of preparing for the celebration of the birth of Jesus. Instead though he gave me a new look at these preparations. Think of it as preparing for the next coming of Christ. Use the season to work on staying awake in our faith and living our life as Christ would want. What tools do we have to help with this? Unfortunately it isn’t accomplished by a large cup of coffee. Of course we all think of the normal things, helping others by donating, working at food pantries, Christmas adoptions, the priest mentioned these but there was more than this in his challenge. He spoke of the small everyday things to keep us awake in Christ. “Put on the Lord Jesus Christ.” Wow that is a big task. I often think of the love Jesus radiates. Can you imagine if each person in our world showed a fraction of his love what a beautiful place it would be? The priest spoke of three ideas for the season; spending time reading scripture, praying, and giving of yourself to others. As it is worth the effort to find ways to stay awake to make it to my desired destination when driving it is also worth the effort to stay awake spiritually to get to the most desired destination, Heaven. So for Advent I am going to work on finding more ways to put on Jesus as I start each day as Paul stated in Romans above and would encourage you to try to also. Read Scripture: One suggestion was to read the daily readings. This is what I plan to do as a family this year for Advent, starting 4 days behind, not surprising for me. The daily readings can be found in most church bulletins or if you do not have that at your church you can find a list for this week below. 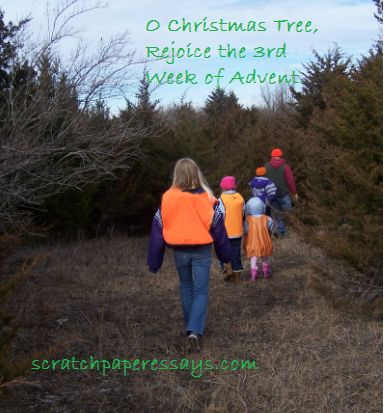 I’ll try to remember to include them on my blog each week of advent. There are also many Advent Family Studies, which we used last year that give readings and discussion for each day or just open your bible and read. Prayer: Praying for the people you know and people you don’t. Not only those in trouble but for all. If you participated in a Christmas adoption add them to your prayers. Maybe you see someone who looks to be having a pretty rough day. Say a quick prayer. Tiny prayers are important too. God wants to be in every aspect in our life, he has time to help us with even the smallest tasks. I recently started using a jar to put my prayer intentions in. As I think of a need however small I add it to the jar. Then once a day I light a candle next to it. Each time I walk by it is a visual reminder to say a prayer for all the intentions in the jar. Sometimes I say the Our Father and other times it is more specific. I have opened the opportunity to my family to add to the jar. The priest gave another suggestion for a prayer reminder. Carry something like a cross or prayer card in your pocket. Each time you felt it you would be reminded of God and say a little prayer of thanks or of need as it feels fit for the moment. Give of yourself: Look past the obvious list from above. Think of ways to continuously give of your time throughout the day. Consider how we treat others in our life, close to us and those we may share just short moments with as we cross each other’s paths. Use kind words and a smile. Show your understanding to the Mom with the screaming baby at the grocery store; we have all been that Mom. Take time to truly listen to what someone has to say. Avoid the need to rush to the next destination so you have time for a 2 minute conversation. Maybe with someone who lives alone from church or another Mom to help each other breath in the business of life? Both are a good use of 2 minutes. Listen to the elderly women who starts a conversation with you in Wal-Mart. Listen when your daughter sings her Christmas song from music for the 100th time, and maybe sing along. Take time to hear your son’s aches and pains that appear only at bedtime each night and give him comfort. Be aware of those around you. Invite someone to church or to your house this season. Make a phone call to say hello. In our busy lives this is the hardest thing to give, our time. Keep your eyes open for the opportunity to share Gods love. This opportunity presents itself more often than we think and many times just in our own home and in very simple ways. 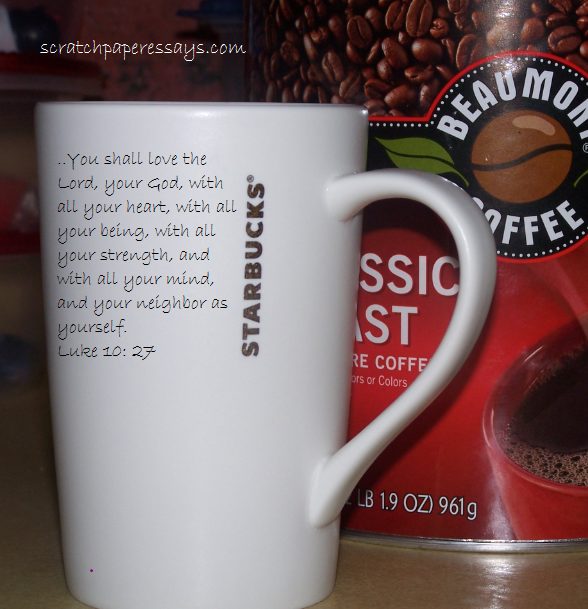 Add more scripture, prayer and giving this Advent and STAY AWAKE as you drive through life!